HUL has increased its focus on foods, will it succeed? The likes of ITC Foods, which is barely 10 years into this business, has surpassed HUL's food revenues, and is already an over Rs 11,000 crore business. Hindustan Unilever is synonymous with its personal care and home care brands such as Lifebuoy, Dove, Lakme and Surf. However, its food and beverages portfolio, despite contributing 18 per cent to the Rs 35,218 crore FMCG major's revenue, is considered a poor cousin. A large segment of the analyst community also believes that the company has got its food strategy in India wrong, despite a large part of its global revenue coming from foods. In fact, food is just 3 per cent of its revenues in India and the remaining 15 per cent comes from beverages (Brook Bond Tea, Bru Coffee etc). The likes of ITC Foods, which is barely 10 years into this business, has surpassed HUL's food revenues, and is already an over Rs 11,000 crore business. ITC Foods aspires to become a Rs 65,000 crore food business by 2030. Has HUL missed the food bus? "I don't think we have missed the bus. It is not necessary that you have to be the first to enter. You may enter second or third but you may still be the best. That's what we would endeavour to do," said Sanjiv Mehta, Chairman & MD, HUL, in a recent interview with Business Today. Mehta is indeed serious about his company's food business. The company has signed an agreement with Karnataka-based Vijaykant Dairy and Food Products, to acquire its ice cream and frozen desserts brand, Adityaa Milk. HUL already has ice-cream brands such as Walls and Magnum and this acquisition will enable it to close the gap with market leader Amul, in the Rs 10,000-odd crore branded ice-cream industry. The announcement of Adityaa Milk acquisition comes months after the company launched its Ayurvedic breakfast range under brand Ayush in the southern part of the country. But isn't Ayurvedic breakfast too niche a category? "The genesis of Ayurveda is that what you ingest will make a difference to you. Take a look at what we have launched in the South of India," defends Mehta. "In foods we are very clear we are going to get into categories where we can make differentiated products. We are not going to get into things like chips or snacks which are not healthy. We are going to get into fields which are nutritious, tasty and which will not cost the earth," he adds. The HUL Chairman, on several platforms has expressed his intent to take the company's food business to the next level. 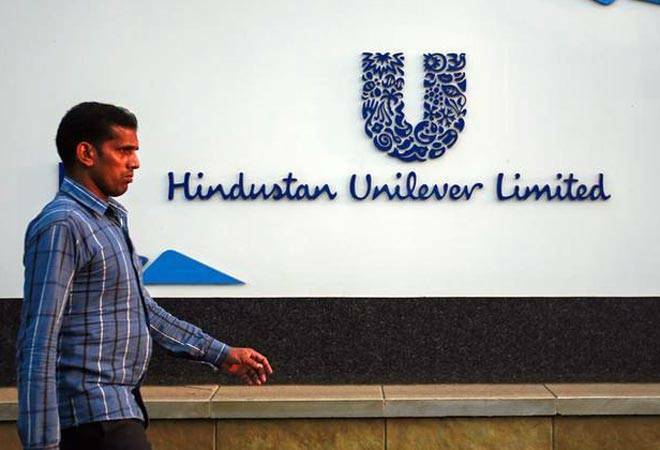 Industry specialists believe that since HUL's focus on its food business is rather late, it should focus on just a few categories rather than carpet bomb. "HUL needs to decide on which categories to focus. It may not be able to do too many things in food, as it is an expensive propostion," points Raghu Vishwanath, MD of brand valuation company, Vertebrand. In fact, Sudhir Sitapati, Executive Director, Food & Refreshments, HUL, in a recent interview with Business Today, said that while food was top priority for the company, it would not blindly enter a category. "As a company we are very profit conscious. Our general strategy has been to grow profitably while maximising value for our shareholders. In a business which has got two-thirds of tea and one-third of categories which we are still developing, we have been able to do 16 per cent EBIT. So, you have to take us in the context of value creation, which is steady growth, double-digit growth in foods and improving our margins above average category margins." But looking at everything from ROI lens or shareholder value perspective will not work, points out N. Chandramouli, CEO of brand audit company, TRA. "HUL needs to do lot more in terms of strategy. If they see everything from ROI lens they can't build brands."